In the not too distant future, injured criminals find a place to get medical attention at the Hotel Artemis, which has a strict set of rules to keep everyone safe. When someone decides to break those rules, it sends everything plunging into chaos inside as the city of Los Angeles riots outside. It's good to know there's a place where thieves, rapists, and murderers can feel safe. 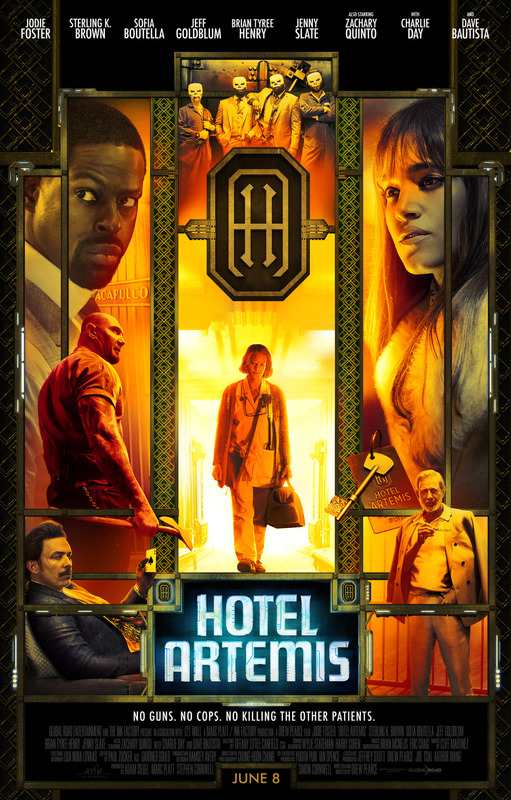 "Hotel Artemis" is written and directed by Drew Pearce. This movie marks his feature film directorial debut, though he has other writing credits for movies like "Iron Man 3" and "Mission: Impossible - Rogue Nation." 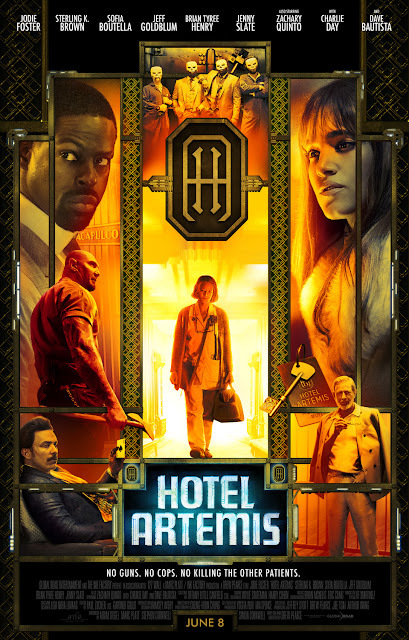 After their bank robbery goes wrong and they land in a shootout with the police, two brothers (Sterling K. Brown and Brian Tyree Henry) seek refuge in the "Hotel Artemis," which is actually a black site hospital for criminals who have a membership. 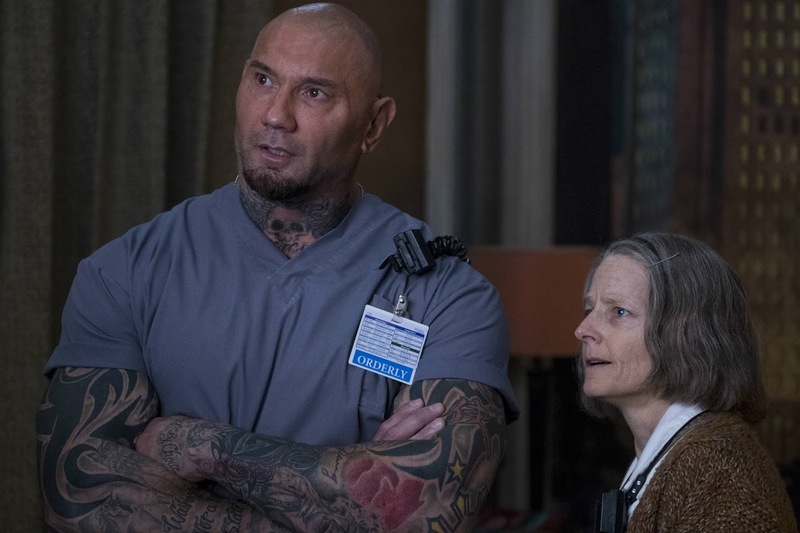 It is run by The Nurse (Jodie Foster) and her orderly/muscle-man Everest (Dave Bautista). The hotel has a strict set of rules that are meant to keep everyone safe. When one of the criminals staying at the hotel decides they may need to break those rules to complete a job, it plunges the hotel into chaos. 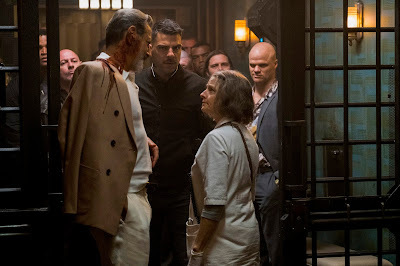 On the surface, "Hotel Artemis" has a lot going for it. It has a great visual aesthetic with a futuristic setting that also looks sort of retro and lived in. There is a good concept here in terms of where this story goes. Because of this concept, we wouldn't mind seeing the overall universe expanded in the future. If you try to look past its flashy exterior, you will quickly realize this is a vehicle that has no engine. The film itself seems to lack any real direction, and the story feels very slapdash in the way it is put together. It doesn't dive deep enough into the characters or their situations which is odd considering how much time is spent with people just sitting around and chatting. There are plot devices that seem like they should be a big deal, but as the movie moves along its runtime, we realized they play almost no role in the overall plot. For example, one character named Morgan (Jenny Slate) arrives at the Artemis midway through the movie surrounded by a big hubbub. It seems like her only purpose is to deliver a couple of lines of exposition to further a specific backstory related to Jodie Foster's character, then Slate disappears without the slightest bit of conflict. Most of the first two acts of the movie are all set up to an action-packed third act showdown. When this showdown actually happens, we couldn't help but feel underwhelmed despite a few intense, bloody moments. 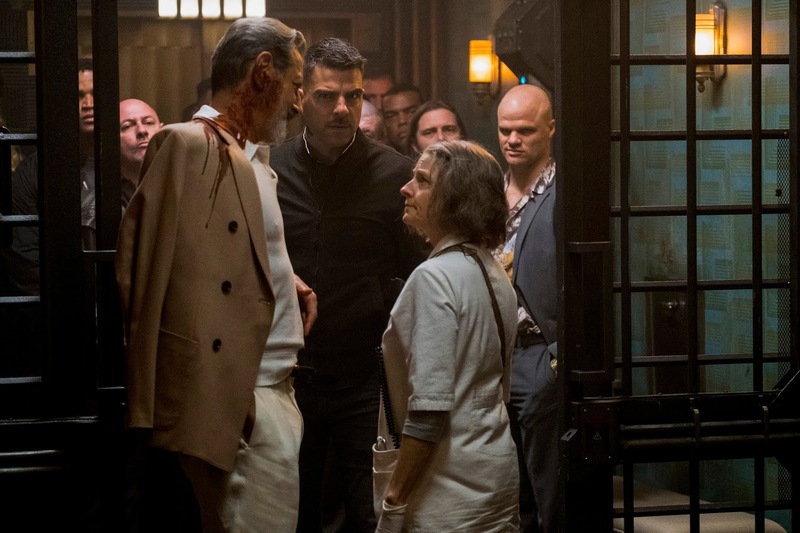 We enjoyed a couple of things about "Hotel Artemis." Jodie Foster, Dave Bautista, Sterling K. Brown, and Sofia Boutella put on great, showy performances. The visuals can also be stellar at times. Unfortunately, the story feels a little half-baked and could have used more time in the oven. That being said, we wouldn't hate seeing a sequel to this movie pop of Netflix in the near future.